The ED1800 range of switches have been designed to provide a rapid means of disconnecting batteries or other power supplies in the event of serious electrical faults. Designed for use with uninterrupted high current battery powered systems such as those found in Telecommunication Power Distribution Units, all types are capable of safely rupturing full load battery currents in the event of an emergency. The ED1800 is a manually operated device with a snap action for both opening and closing of the main contacts. They have paralleled double breaking contacts with silver alloy tips which are weld resistant, hard wearing and have excellent conductivity. The ED1800 is easy to install (see drilling details) and can be mounted using the main terminal busbars or secured with supplied M5 posidrive mounting screws on the frame of the device. 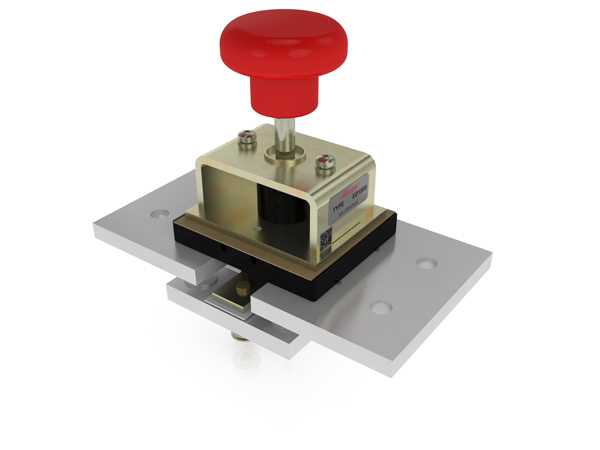 The switch is to be used to rupture current in an emergency or as a no-load isolator. Do not use as a regular On-Load Switching Device. No Blowouts 2700A at 60V D.C.